Saudi Arabia’s Crown Prince Mohammed bin Salman said the kingdom’s main sovereign wealth fund (PIF) will surpass its target of increasing its assets to $600 billion by 2020, as part of a plan to reduce the economy’s dependence on oil. “We are now above $300 billion, we’re getting close to $400 billion. Our target in 2020 is around $600 billion. I believe we will surpass that target in 2020,” the prince said in a Bloomberg interview published on Friday. He added that the fund, with more than 50 percent of its investments located in Saudi Arabia, will be investing in more places next year. The fund would invest another $45 billion in Softbank Vision fund, the world’s largest private equity fund, backed by Japan’s Softbank Group and the PIF, which invests in technology sectors such as artificial intelligence and robotics. “We have a huge benefit from the first one. We would not put, as PIF, another $45 billion if we didn’t see huge income in the first year with the first $45 billion,” the prince said. Locally, one of the biggest investments for the PIF is a planned $500 billion business and industrial zone called NEOM extending into Jordan and Egypt, announced in October 2017. Prince Mohammed said the first town in NEOM will be ready in 2019 or 2020, with the entire site completed by 2025. 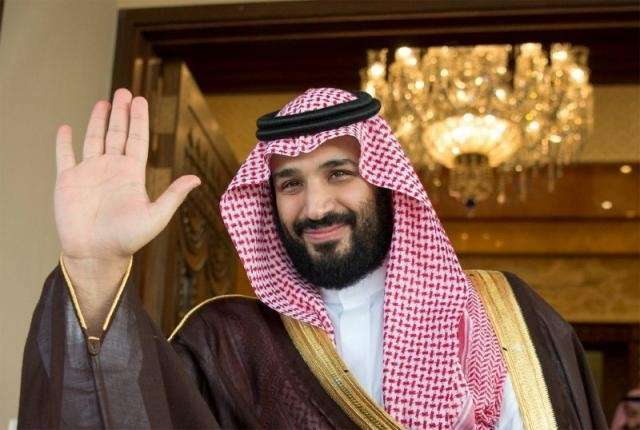 The Crown Prince said his country will privatize more than 20 companies in 2019, helping the government’s strategy of diversifying away from oil exports. “In 2019, we will have more than 20 services that will be privatized, most of them in water, agriculture, energy and some of it in sports”, the prince said in an interview with Bloomberg published on Friday. In April, the Saudi government said it aims to generate 35 billion to 40 billion riyals ($9 billion to $11 billion) in non-oil revenues from its privatization program by 2020 and create up to 12,000 jobs. The privatization initiative targets 14 public-private partnership (PPP) investments worth 24 billion to 28 billion riyals. It includes the corporatization of Saudi ports and the privatization of the production sector at the Saudi Saline Water Conversion Corp (SWCC) and the Ras Al Khair desalination and power plant, according to official document published in April. The prince said unemployment, which now stands at a record level near 13 percent is part of the side effects of restructuring the economy. “I believe the unemployment rate will start to decline from 2019 until we reach 7.0 percent in 2030 as targeted,” he said.